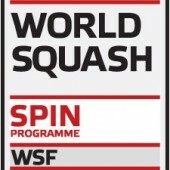 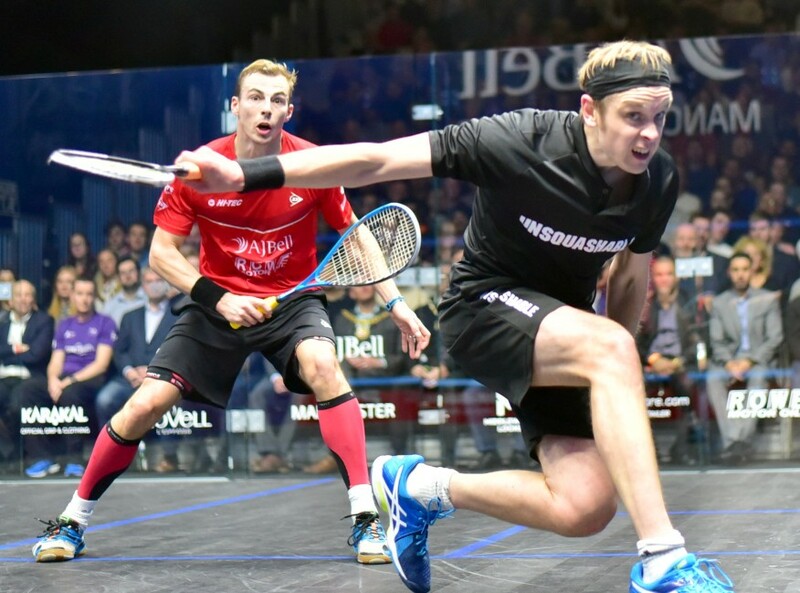 After reaching the semi-finals of the J.P. Morgan Tournament of Champions in January, his second PSA World Series semi-final finish of the 2016/17 season so far, England’s James Willstrop has moved up two places in the PSA Men’s World Rankings to reclaim a place in the top ten. 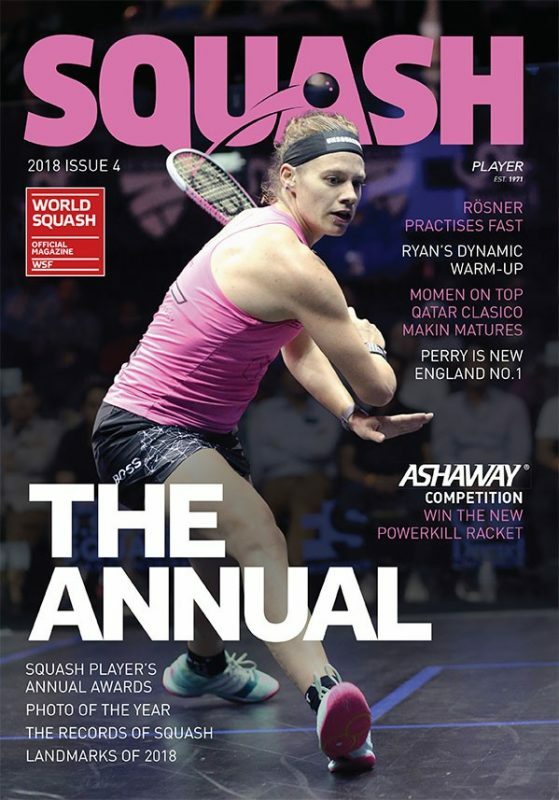 33-year-old Willstrop sits at No.9 on the standings courtesy of a run of form that saw him end a 19-match losing streak to compatriot, and World No.5, Nick Matthew in New York to secure his first top ten position since December 2014, when a potentially career ending hip injury struck. 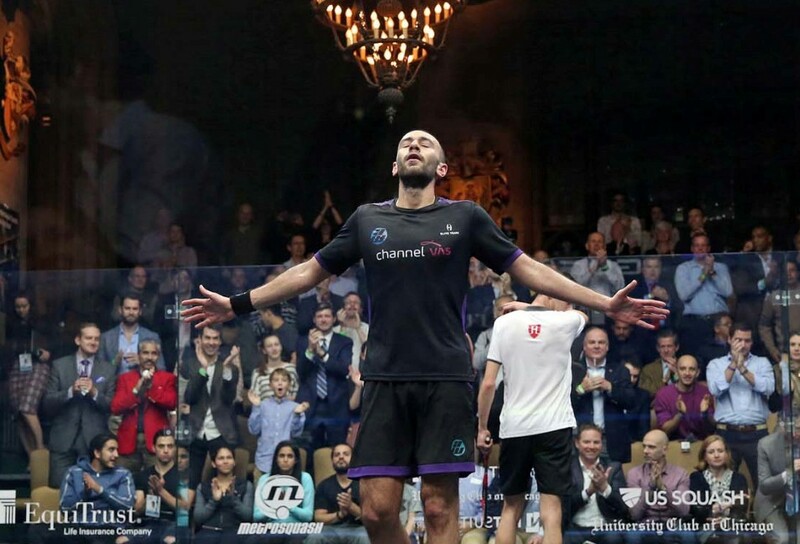 Tournament of Champions winner Karim Abdel Gawad meanwhile narrowed the gap on World No.1 Mohamed ElShorbagy, who maintains his place atop the standings for a 14th consecutive month, to sit just 200 points behind his fellow Egyptian as part of an unchanged top eight that contains six Egyptian players in total. 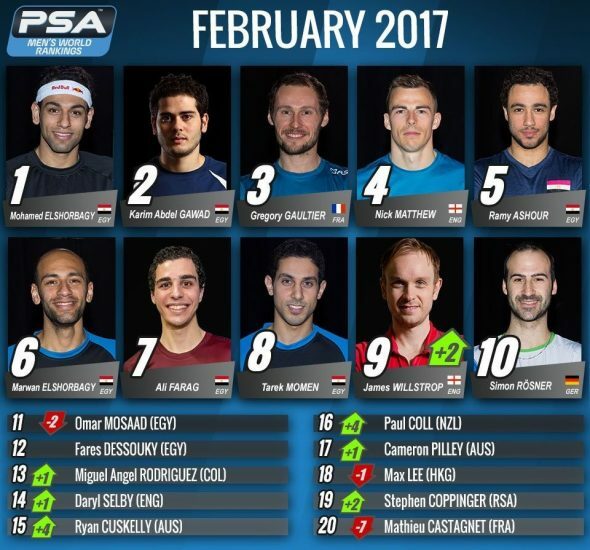 After winning the recent Motor City Open in Detroit, Australian Ryan Cuskelly moves up four positions to No.15 on the standings just ahead of New Zealand’s Paul Coll who also rises four places to No.16 this month after impressing with a run to the quarter-finals in New York. 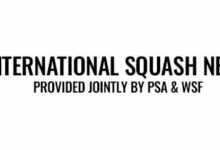 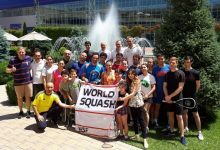 South Africa’s Stephen Coppinger climbs back into the top twenty for the first time in over a year courtesy of a semi-final finish at the Motor City Open while Cameron Pilley, Miguel Angel Rodriguez and Daryl Selby also move up inside the top twenty. 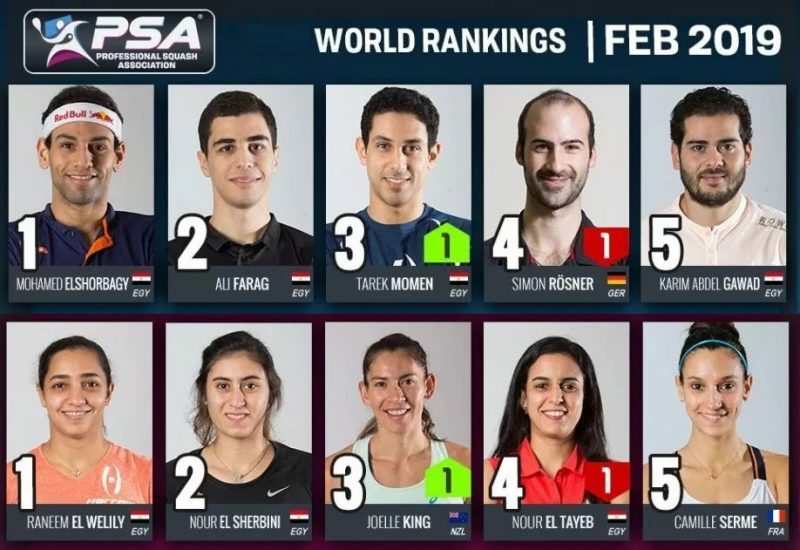 Camille Serme‘s victory in January’s J.P. Morgan Tournament of Champions, her second consecutive PSA World Series event win, has catapulted her up two places to a career high World No.2 on the February PSA Women’s World Rankings. 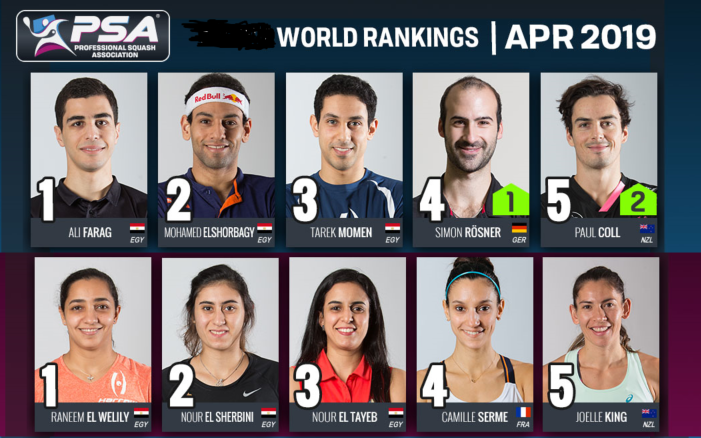 Serme, who also won the U.S. Open in October, moves ahead of Egyptian pair Nouran Gohar – whom she replaces at No.2 – and Raneem El Welily to sit just over 400 points behind World No.1 Nour El Sherbini, the player she beat in the U.S Open final and Tournament of Champions semi-final. 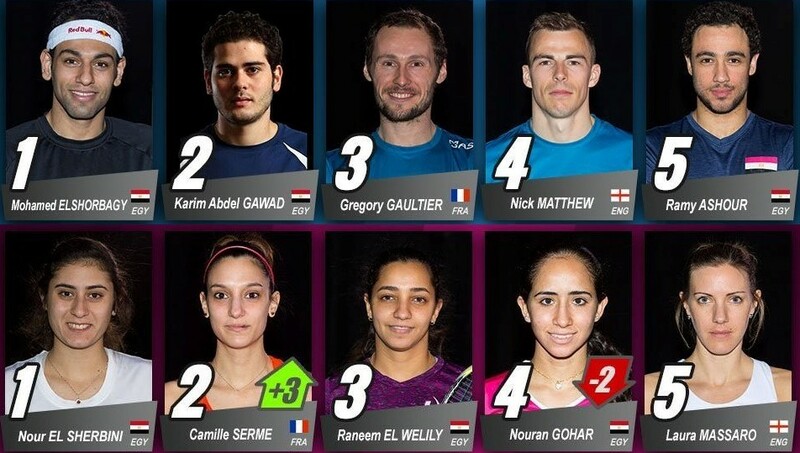 “It means a lot for me to be number two in the world,” said the 27-year-old Frenchwoman. 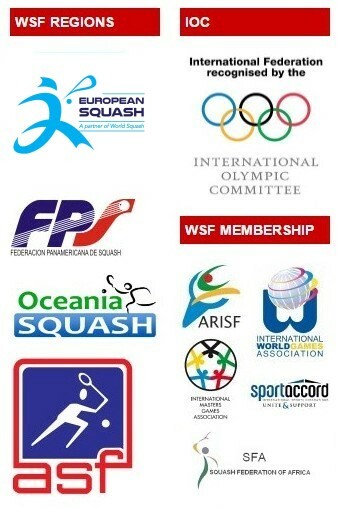 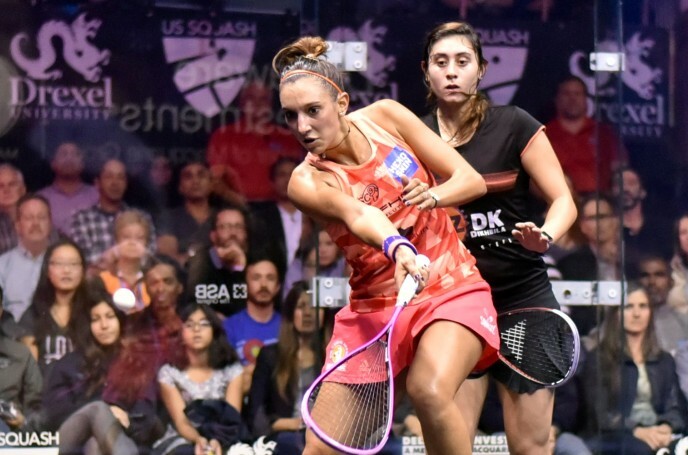 “It’s my highest ever ranking so I’m excited by that because it takes me one step closer to my ultimate dream. But I know the road is still long and the last step is always the hardest. 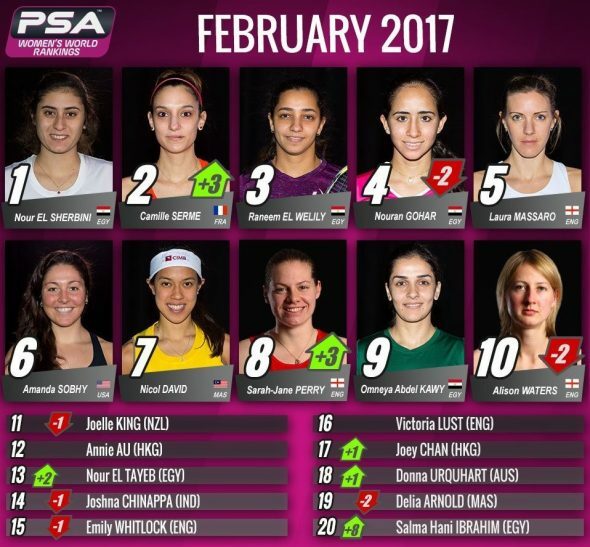 England’s Sarah-Jane Perry also moves up to a career high ranking this month as she breaks the top ten for the first time in her career. 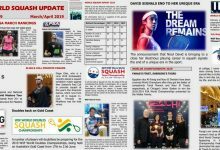 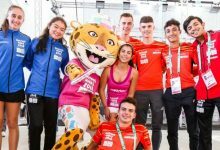 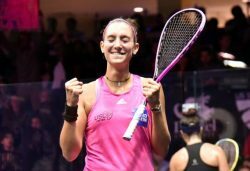 The 26-year-old moves up three positions to No.8 after a string of impressive performances took her to a maiden World Series semi-final in New York, becoming the second highest ranked Englishwoman on the standings behind World No.5 Laura Massaro. 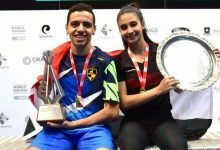 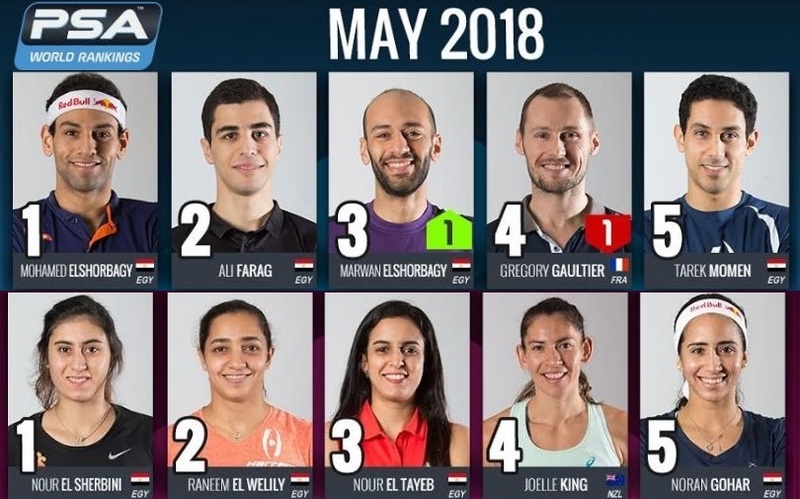 Egypt’s Salma Hany Ibrahim moves up eight places to occupy the No.20 spot – marking her first appearance inside the top twenty since 2015 – with Nour El Tayeb, one of a total of six Egyptian in the top twenty, rising two places to No.13.